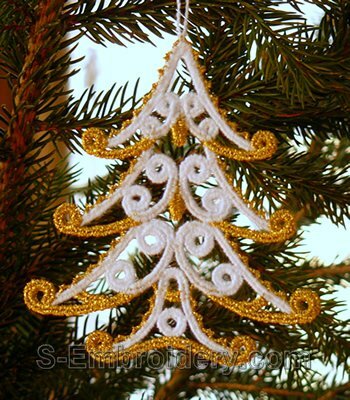 A set of 2 freestanding lace Christmas ornaments. 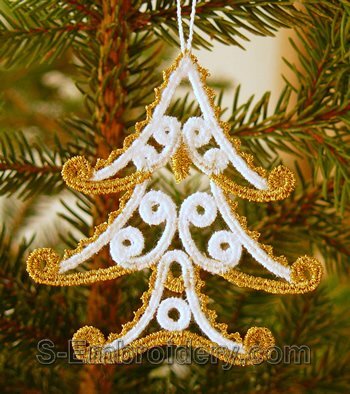 The set includes 2 Christmas tree lace ornaments - a larger and a smaller one. 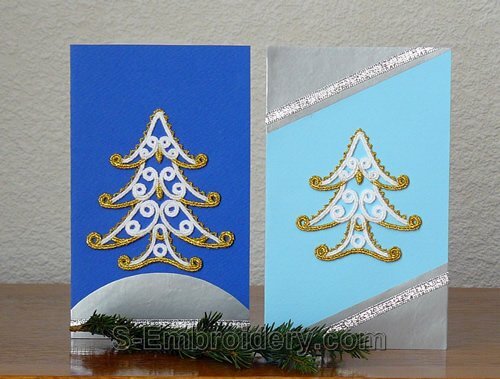 Each of the lace Christmas trees is available in 2 versions - one is with a loop for hanging on the Christmas tree and the other is meant to be used as a decoration for your custom hand-made Christmas greeting cards. The set comes with instructions in PDF format.